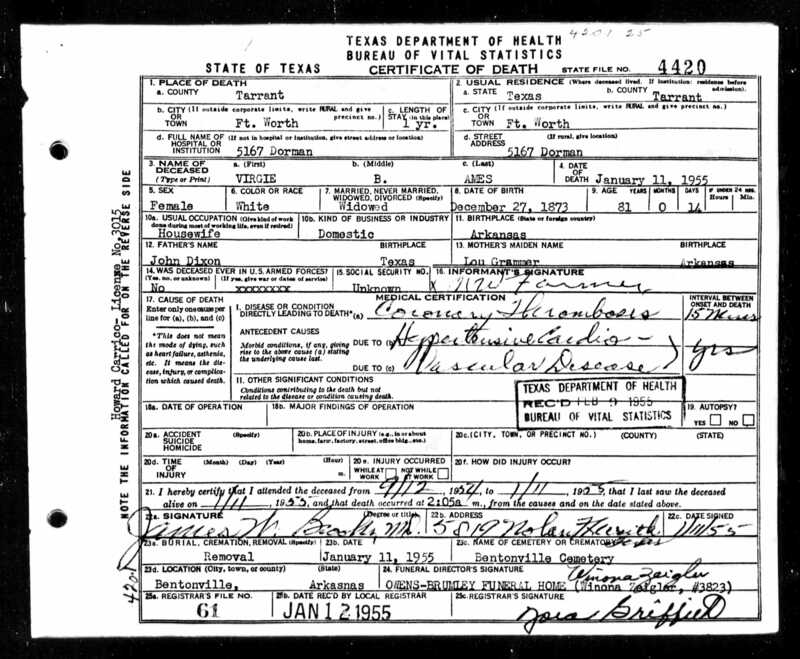 Virgie was born on 12 DEC 1873 in Benton County, Arkansas, the daughter of John E Dickson and Louisa E Grammer. She died on 11 JAN 1955 in Fort Worth, Tarrant County, Texas. Her husband was Charles Wesley Ames, who she married on 23 AUG 1888 in Benton County, Arkansas. Their five known children were John R (1889-? ), Mary Lou (1891-1957), Willie (1892-? ), Virgie (1895-?) and Jennie (1896-? ).